This online auction features Drop Leaf Dining Table, Prodigy 100 Kayak, Blenko Apples, Leaded Glass Bookcase, Waterford Lismore Cake Server, Sanyo TV, Singer Tradition 2277 Sewing Machine, Lingerie Chest, KitchenAid Professional HD Mixer, Husky Tool Chests, MCM Media Console, Curio Cabinet and much more! This online auction features 1950s midcentury modern dining table, silk ottomans, desk, shelving unit, sterling silver utensils, Impressa and Dixie furniture sets, Russian figurines, Amazon Kindle, art, Anne Geddes print, fireplace accessories, planter, aerobed, lamps, bakeware, garden tools, linen, lanterns and flashlights, bathroom accessories, knife set, kitchen items, freezer and much more! This online auction features fishing gear, Danish art, wing back chair, dresser, vintage refrigerator, vintage trunks, audio equipment, vacuum, wooden tables, pottery, glassware, vintage GE oven, antique icebox, copper tubs,nautical lanterns, cookware, power tools, shop vac, records, washer and dryer and much more! This online auction features MCM Cabinet Buffet, 1950s Barbie Dream House, MCM Stereo Cabinet And Wall Unit, Expandable Picnic Table, Vintage Radiograph, baskets, Hanging Swing Bench, 1940s Chicago electric tabletop washing machine, Craftsman Electric Grinder and much more! This online auction features COLLECTIBLE: MANY Heirloom quality dolls; many Royal Doulton figurines - 23+ and Toby mugs - 21+, as well as Royal Doulton and Dept 56 Village cottages; MANY Bburago and Revel diecast cars; train sets; teapots; Belleek; sterling candlesticks and salt and pepper. CHINA: Royal Albert "Old Country Rose" dishes and tea set; Johnson Bros "Friendly Village and "Merry Christmas" dishes; 60+ pieces Noritake " Love Song"; Taylor Smith & Taylor Co. "Do-Van" stoneware. GLASS/CRYSTAL: Stemware; Sydensticker art glass; milk glass ruffled bowls; mid-century Kings Crown glassware. HOME HEALTH: Liko mobility lift and home health aids. Abel Cottey grandfather and Tempus Fugit pendulum clocks. JEWELRY: 14K, sterling and costume. FURNITURE: Bedroom pieces; wood framed check print sofa; several hutches, curio's and display pieces; pedestal table and two chairs and much more! This online auction features speakers, artwork, poker table, figurines, drum set, bass guitar, foosball table, jewelry, cameras, camera accessories, tools, luggage and much more. Items being sold from estate listed on the National Registry of Historic Places. Victorian built in 1888 with attached barn and over 13,000 sqft houses 80 years of professionally collected antiques and treasures from around the world. Located right in the heart of Weston Center. This online auction features ART: Limited edition Edna Hibel, paintings; Molinari needlework and more! FURNITURE: French provincial chairs, pen and screen, armoire, vanity; ornate tri-fold partition/screen; Golden oak office piece and more! Olhausen pool table and accessories, Brunswick air hockey table. CHINA: Limoges sets: Haviland and two A Raynaud service's for 14; Rosenthal "Plaza" and Hutschenreuther "Diadem dishes; Rose Enfield Adderleys teaset; Iscot and more! COLLECTIBLE: Crown china florals; Royal Doulton's and Rosenthal Edna Hibel plates; B & G figurines. VINTAGE: Philco radio. Mosler safe and much more! I have found items that I needed at a reduced price instead of buying from the stores. All 5 auctions I've won have been really great deals. Going to pick up is always hassle free too. All of the employees are extremely helpful and run a tight ship. Easy to use. nice people at pickup. I liked the auction style. Very efficient and good way to sell everything. I bought a platter and did so sight unseen. It noted there was a chip but there was a big crack as well and that wasn't mentioned in the description. Didn't pay a lot but won't b keeping it. 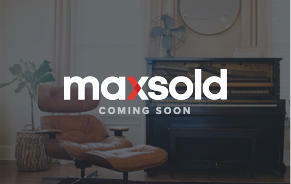 Selling through maxsold seems like it would take a lot of stress and headache out of downsizing. Buying is incredibly easy. Staff is so nice and helpful. Website is really good. Everyone I dealt with was friendly and helpful and got back to me in a timely fashion. Every detail was explained to me fully and all my questions were answered to my satisfaction. Christine is very helpful, knowledgeable and friendly ! As a veteran professional organizer, I have high standards for the 3rd party vendors I bring in to help my clients. 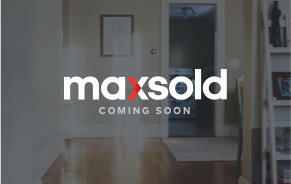 And I have to say that so far those high standards have been met and exceeded by MaxSold. 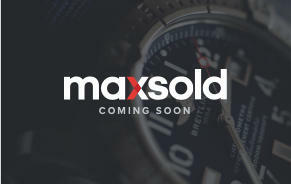 The transparency and clarity of the MaxSold process make it an extremely appealing alternative to the comparatively murky world of traditional estate sales. 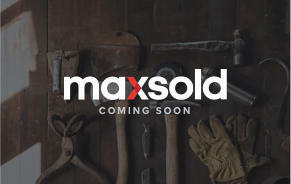 The integrity, efficiency, professionalism and friendliness of the MaxSold ""ninja"" team that arrived at my client's home last week to assemble; photograph and catalog my clients' belongings were amazing. Julia's skill for managing time, manpower and other resources perfectly complemented Mark's understanding of multiple categories of collectibles and salable goods. My client and I have yet to see how the online auction & pickup process goes. 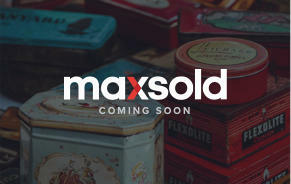 But so far, we are beyond impressed and grateful to MaxSold for the way they've simplified the process of downsizing her family's unneeded belongings. Julia and Mark were amazing!! They worked together efficiently, professionally and creatively to identify, photograph and describe my client's many rare, unusual, and sometimes truly quirky belongings. They explained their process, and welcomed our input; and they knew exactly how to group everything for maximum sales appeal. We couldn't have done it without them, and I can't wait to use them again! 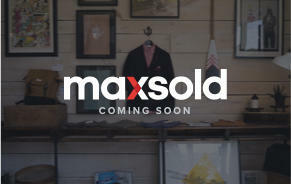 MaxSold has been so patient with me.. They are very professional and explain every detail twice and more if they need to. I don't know what I would have done without them. Great and organized and very knowledgeable. They all work well together, and with my things were very careful and considerate. Everyone works well together, and they know their stuff. Very nice people to work with. Very thorough, they know their business and arrange things to get you the most $ out of your treasures. They worked so hard to organize my things, and there were a lot of them. They are honest and friendly. I recommend them highly. 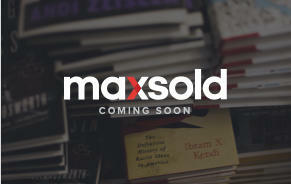 Thrilled that the reaction to MaxSold when presented is so well received. 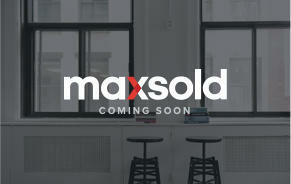 It doesn't take much for people to realize the value (on many levels) MaxSold brings. Great crew, very professional and organized, and friendly and considerate.